In case you missed the hullabaloo yesterday, the nasty anti-oil and gas bill passed both the House and Senate yesterday without a single GOP vote. Why was the only bipartisanship around this bill on the “no” side? Because it’s an industry-destroying bill. While the oil and gas industry was able to include some amendments that made it more palatable, the truth is that this bill is still a steaming pile of poop from Democrats to the rest of Colorado. End of story. The bill is on its way to Governor Polis’ desk, where he will likely sign it, despite pushing for a more destructive bill. It’s not just the oil and gas industry that’s frustrated. It should be every industry in Colorado. 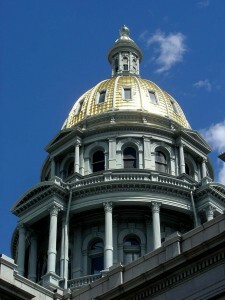 For example, the oil and gas industry occupies around 30% of office space in downtown Denver. If Democrats chase away the industry, it could cause a recession, especially around commercial real estate. Unintended consequences at their finest. And that’s just one industry. While we have had policy disagreements with former Democratic Governor John Hickenlooper, at least he wasn’t out to penalize major industries in Colorado. The economy was great because he didn’t destroy it. If this is how Polis is going to lead, it’s going to be a long (and poor) four years, PeakNation™.